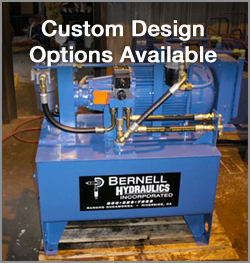 When you trust Bernell Hydraulics to provide your hydraulic components, you can often find common components right on the shelves in one of our three ParkerStore locations. What we don’t have in stock, we can order for you. If time is truly of the essence, consider asking our field service specialists to bring the parts to you at your worksite or place of business. Field service is available 24 hours a day, as is our mobile HoseDoctor service. While hoses many be the most common hydraulic part we replace, that doesn’t mean our expertise ends there. Our skilled technicians can repair just about any sort of hydraulic system failure in timely and effective manner. Parker hydraulic components Long Beach CA offer superior quality and performance. A leader in the hydraulics industry, Parker has been making innovative and durable parts for over 100 years and it certainly shows.